See Delicate, a similar pad with belt from about the same time. 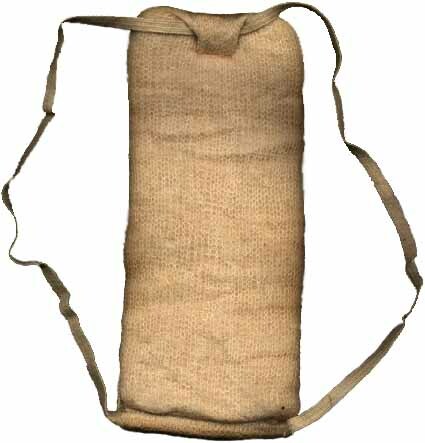 Before today's adhesive pads (which started in the early 1970s - see an early example), women had to wear a pad with a belt or some other means of holding it against her vaginal opening, a tougher task when underpants were not tight against the body, as before about 1935. Pad-n-all consists of an elastic belt attached permanently to what looks like a cotton pad, which measures 7.5" x 3.25" (about 19.5 x 8.3 cm), and sure looks like a disaster to me. But in a pinch I guess it would work; I know some things women have used in emergencies. It reminds me of the single adhesive pads found in airplanes, but the latter seem more reliable. One thing I've learned from the museum is that, physically, it's much more complicated being a woman than a man, and often more dangerous, what with having babies, etc. In many ways men have it easy. 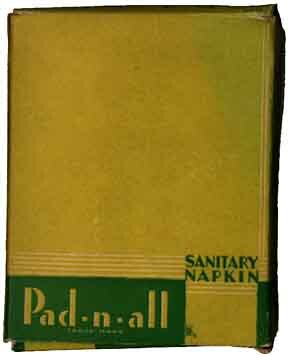 The Procter & Gamble Company kindly donated Pad-n-all to MUM as part of a gift of scores of old products from its archives. 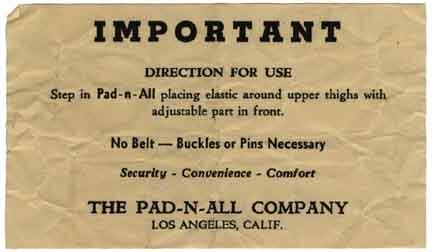 The lack of a postal zone in the address on the package insert, above, suggests the pad predates 1943, when the zones appeared in the U.S.A.
See Delicate, a similar pad from about the same time but which required more trouble to use.